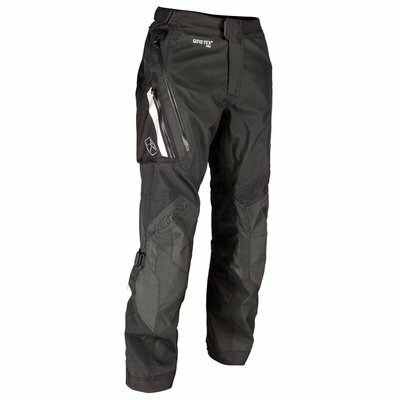 The KLIM Badlands Pro is the ultimate motorcycle pant for motorcycle trips to remote destinations. 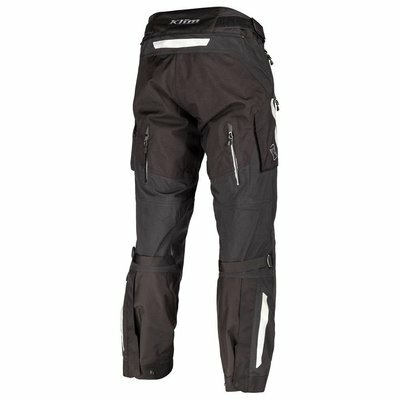 The pant is designed for long riding days under extreme conditions, from monsoon rains to hot desert days. 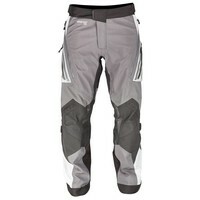 The design and materials used ensure that you are safe, dry and comfortable on your motorcycle. 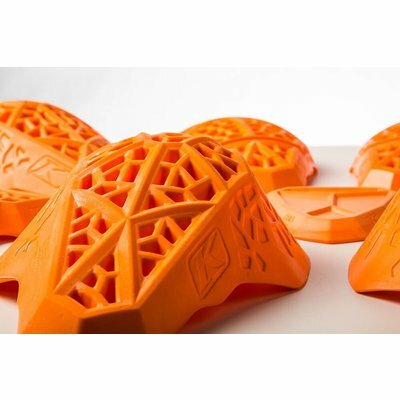 For the Badlands Pro only the best materials are used and all possible innovations applied. This is without a doubt the best motorcycle pant in this segment. The for 2018 completely renewed Badlands Pro is fully equipped with 3-layer Gore-Tex® Pro, the highest level of breathable and waterproof fabric. The waterproof membrane is bonded between two layers of wear-resistant fabric for extra durability. On the knees the Gore-Tex membrane is combined with extreme abrasion-resistant ceramic Superfabric®. On the inside of the knees Gore-Tex is combined with leather. 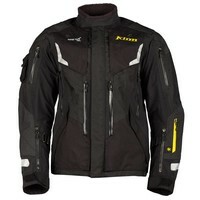 In other key impact and wear areas Gore-Tex is bonded with KLIM’s exclusive KARBONITE™ Ripstop. 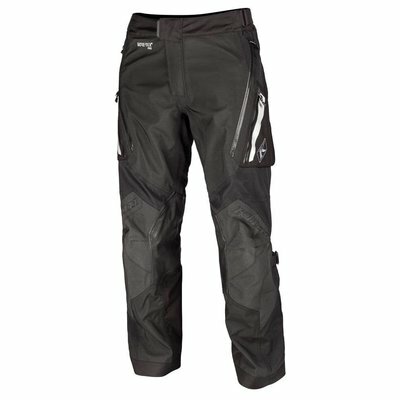 In short: these pants can take a beating! 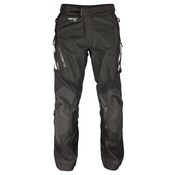 The Badlands Pro pant is designed for long riding days, where the rider will also ride standing. The pre-curved knee position gives optimal freedom of movement in all riding positions. The fit can be adjusted with fasteners in the waist and behind the knees. 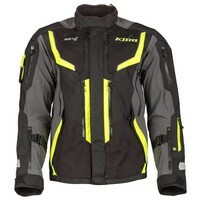 Along with the Badlands Pro KLIM introduces a whole new line of body armor: The KLIM D3O® AERO PRO. This advanced armor technology performs above the CE Level 2 testing criteria in all temperature and weather conditions. The pants has armor on the knees, hips and tailbone. 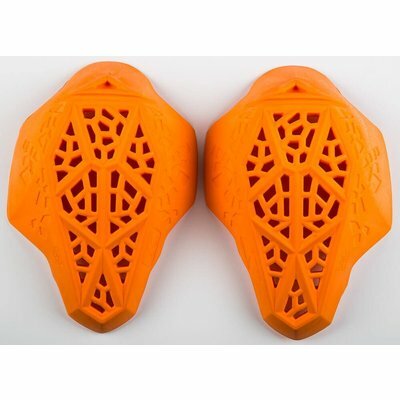 The hip- and knee armor is specifically designed in a left and a right version. 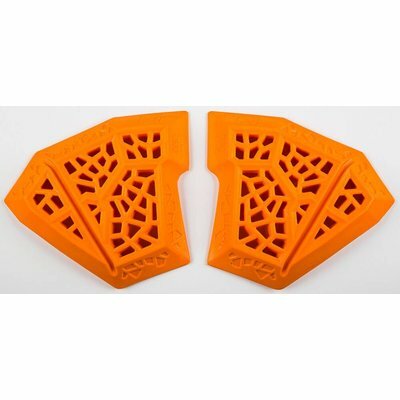 The pockets for the armor are adjustable for a personal fit. 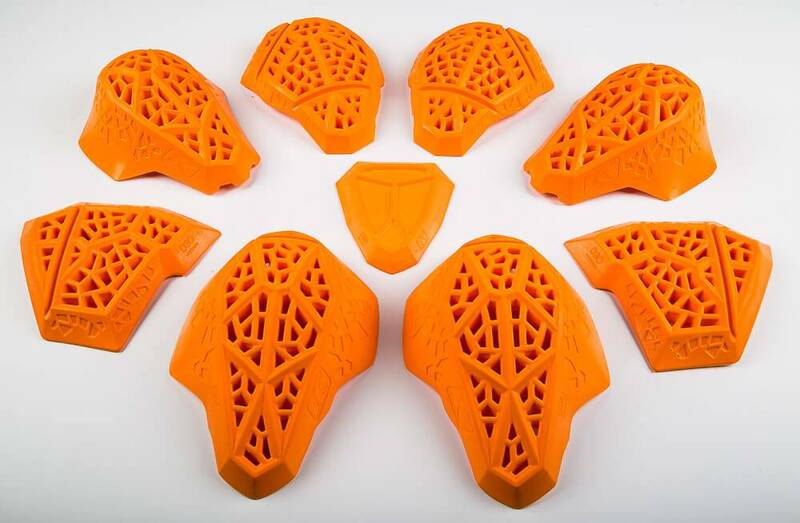 In addition, the armor ventilates 5 times better and offers 44% more coverage than the previous generation. With the design of the Badlands Pro a lot of attention was paid to ventilation, so that you enjoy airflow in all positions because of the four cleverly placed ventilation openings. 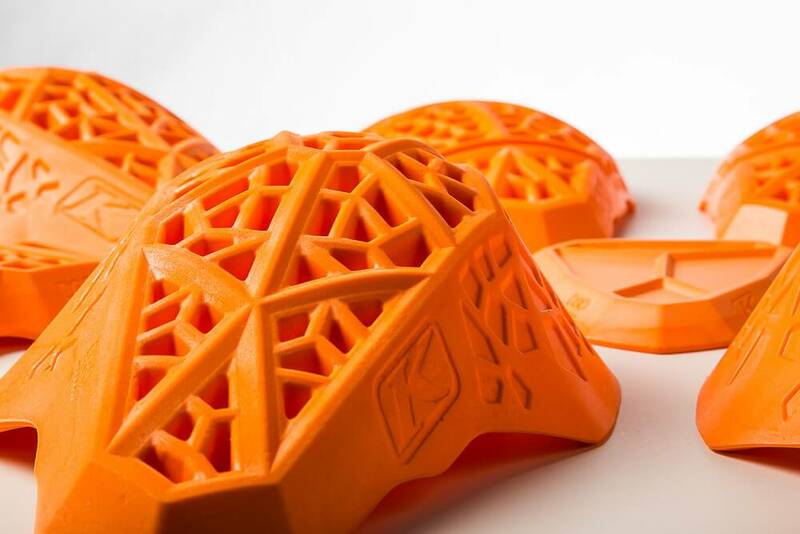 By combining the very open shape of the D3O® AERO PRO protectors with the ingenious KLIMATEK™ material in the protection pockets, moisture is quickly removed from the skin and a cooling effect is created behind the armor. To combat foul odors before they start, KLIM now incorporates POLYGIENE® technology to the entire interior finish fabrics of the new Badlands Pro. POLYGIENE® provides a permanent anti-bacterial effect. 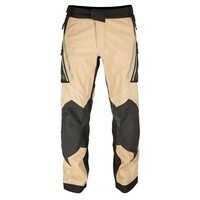 The Badlands Pro Motorcycle Pant is available in 3 colors: Black, Gray and Tan. There are three size versions: Short, Regular and Long. The Badlands Pro Motorcycle Jacket is available in the colors Black, Gray, Light Gray, Tan and Hi-Vis. Guaranteed To Keep You Dry® Gore-Tex® 3-layer Pro laminate technology. 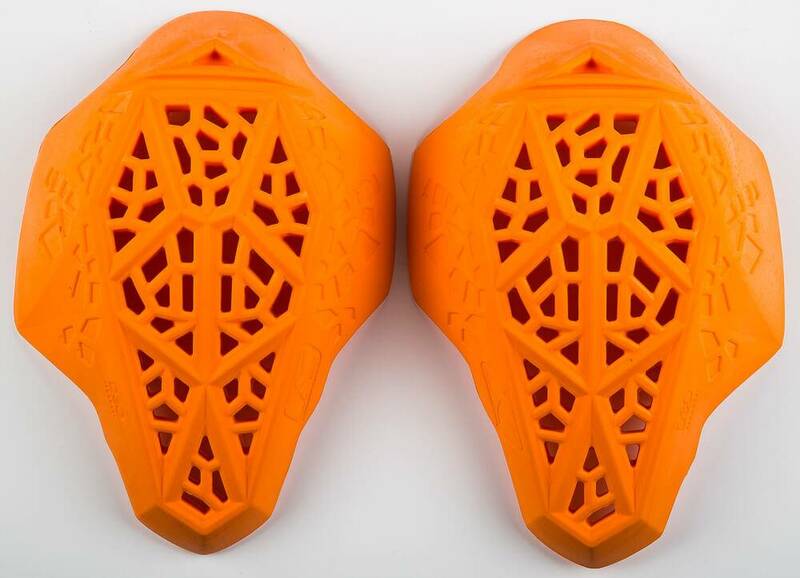 Ceramic Superfabric® on the knees. This fabric is extremely abrasion resistant!